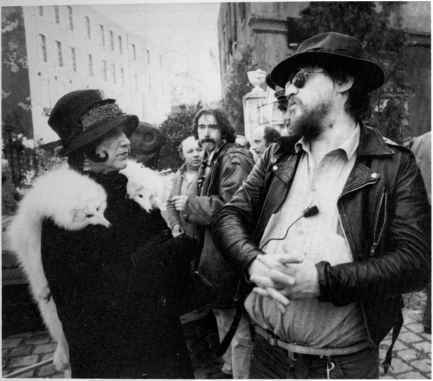 Fassbinder's mother as Frau Pums and Fassbinder, working on Berlin Alexanderplatz 1979-80 . The cameraman Xaver Schwarzenberger is in the centre of the group behind them. Lilo Pempeit Liselotte Eder. 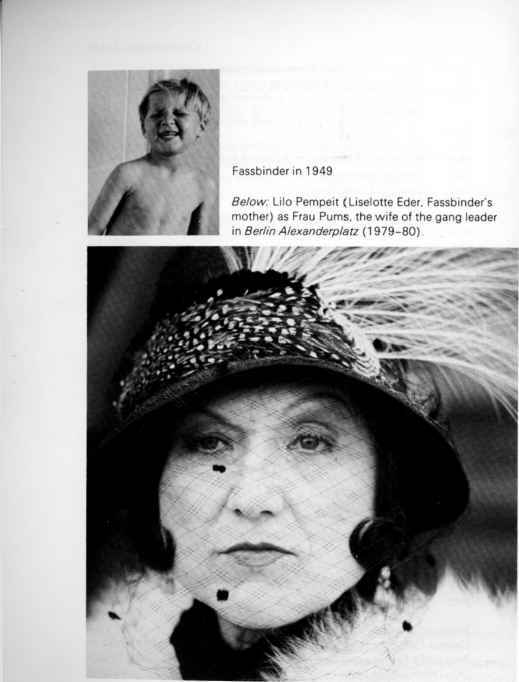 Fassbinder's mother as Frau Pums and Fassbinder, working on Berlin Alexanderplatz 1979-80 . The cameraman Xaver Schwarzenberger is in the centre of the group behind them.